Kirk Carnival 2019 is a fun day for the whole community. The theme for 2019 is SUPERHEROES. The fancy-dress parade assembles at the Church in Kirk Road and led by the Boys and Girls Brigade Pipe band proceeds through the old village to the West Halls in Main St where the Carnival King and Queen will be crowned and prizes presented to the best dressed groups in the parade. There are numerous stalls and a tea room with home baking through the West Halls and the adjacent Carrick Centre - for all age groups - and performances by local music and dance groups on the Carrick Stage. Stalls: Plants, Books, Toiletries, Tombola, Bottles, Children's clothes, Baking, Home Produce, Good-as-new Toys, Soft Toy Tombola, White Elephant and Chocolate Tombola. Fun stalls: Hook a boat, Golden shot, Lucky Dice, Needle in Haystack, Bee Happy planting. Activity sideshows: Beat the Goalie, Orbs, Mini-Tennis, Coconut Shy, Bouncy Castle, Slide, Ball Pond, Pirate Run, Rodeo Bull,2-lane Bungee. Food: Tea- Room, BBQ Burgers, Hot-Dogs, Ice cream. 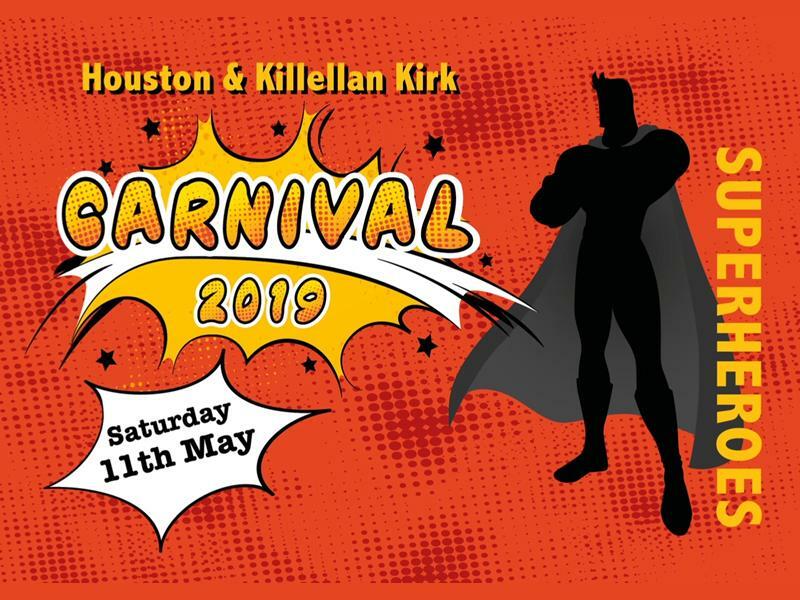 While we take every opportunity to ensure the details for Houston & Killellan Kirk Carnival are accurate, we always advise that you contact the event organiser before setting out for the event to avoid disapointment.